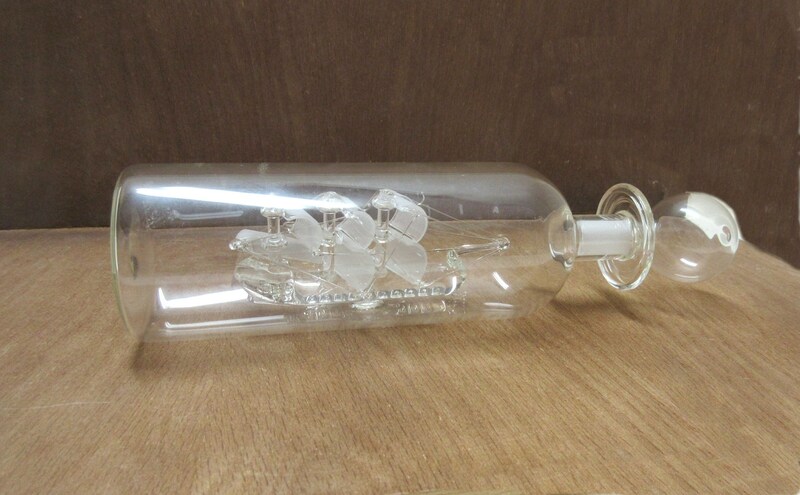 Pretty sure this is a vintage glass rendition of "The Mayflower" that brought all those Pilgrims here to America from over there in England. 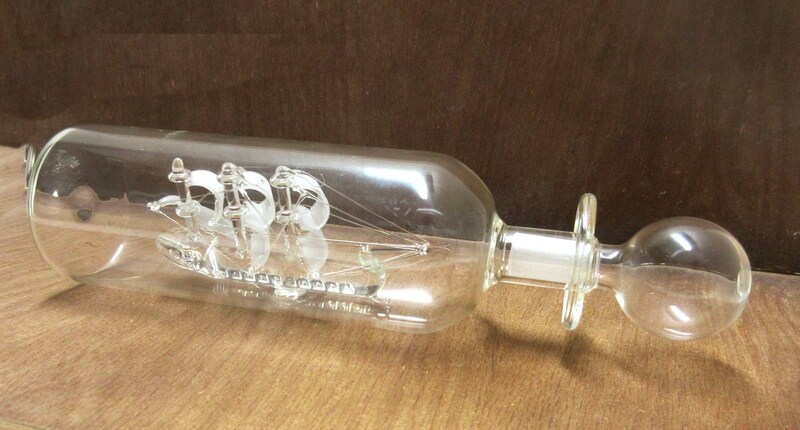 This ship in the bottle is in good condition, doesn't have any issues. 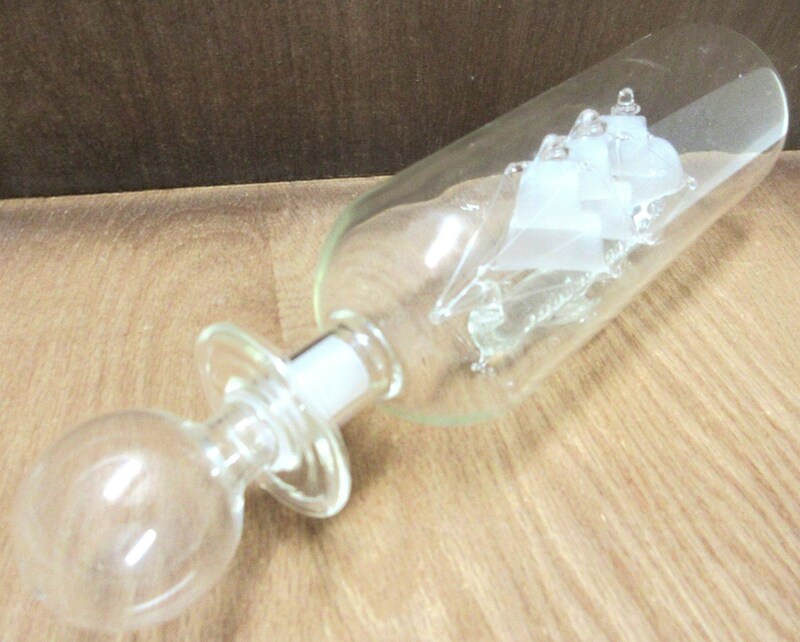 It will make a nice addition to your nautical collection. 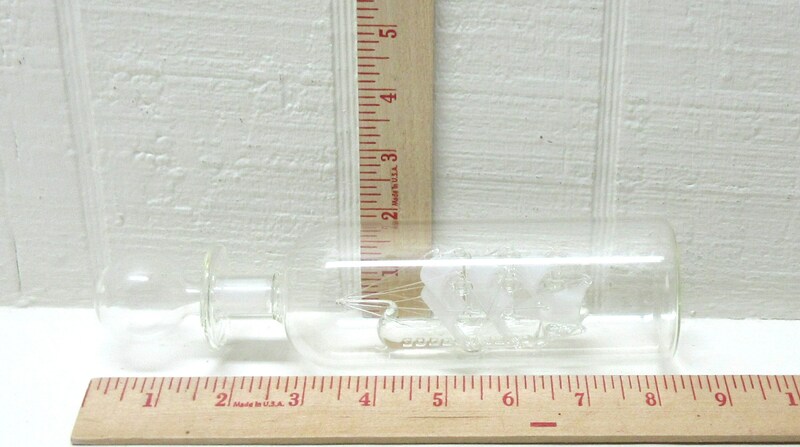 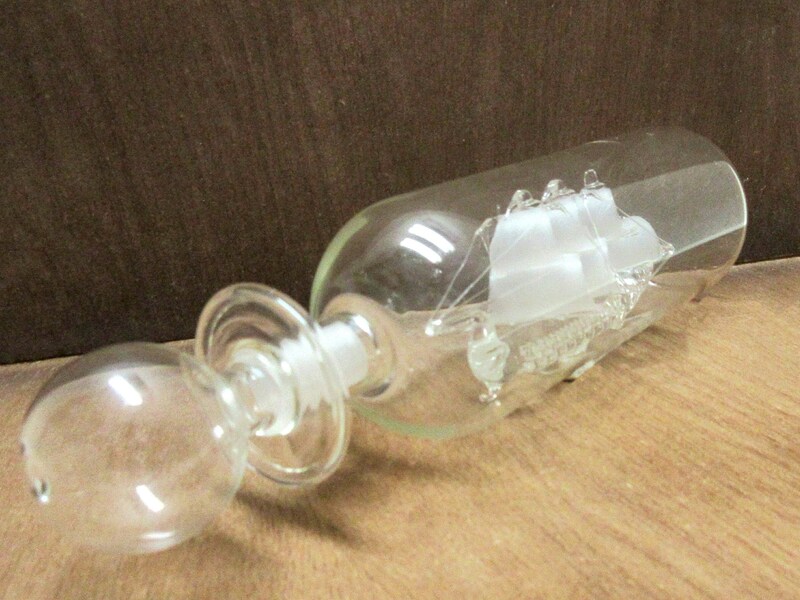 The glass bottle measures about 8-3/4" long x 2-1/16" in diameter.